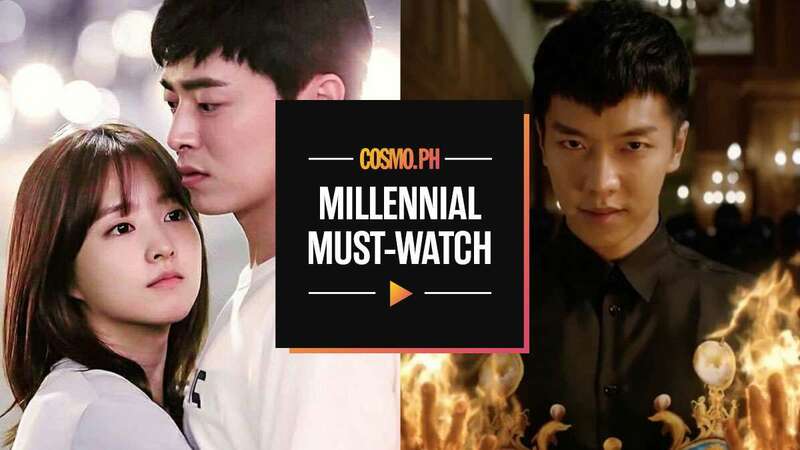 We know the term "Netflix and chill" has a totally different meaning (and we don't blame you if you're into that *winks*), but the next time you really want to sit down and binge-watch, here's a list of addicting K-dramas that will fill your weekends. Bonus: They're all on Netflix! Think of this as a more ~*serious*~ version of Goblin, but with a binge-worthy serial murder-mystery thrown in for good measure. This hit Korean fantasy series revolves around a Grim Reaper who takes over the body of a detective and a mortal woman who can foresee death. If you loved kween Park Bo Young in Strong Woman Do Bong Soon, you'll love her even more in this 2015 gem. Here, she plays the super-timid Bong Sun, who gets possessed by a virgin ghost that's determined to seduce as many men as she can! A Korean Odyssey has a little bit of everything—horror, fantasy, comedy, and a lot of romance (and bromance! )—so you're definitely in for an interesting binge-watching sesh. Two immortal spirits living in modern-day Seoul must join forces with a woman who can see supernatural beings. Starring L of K-Pop group Infinite, this web series has him playing Yoo Tan, the lead singer of a struggling indie band that he started with his childhood friends. His life gets even more complicated when he befalls a strange time leap and he must save his girlfriend from an unlucky fate over and over again. Filled with fun music and the kind of onscreen romance that will make you swoon, this time-traveling show will have you glued to the screen all day! Stranger's plot mainly revolves around a cold and distant prosecutor Hwang Si Mok (Jo Seung Woo). When he stumbles upon a murder scene, he teams up with a police detective (Bae Doona)—only to realize that they are caught in the middle of a huge web of corruption. Also, if you needed more reason to press "play," the New York Times named it as one of the best shows of 2017! In a world full of #FakeNews, this K-drama is just the right dose of social relevance that your woke self needs right now. The story is about a passionate team of investigative TV reporters who will do anything to bring the truth to light. If you fell in love with Park Hae Jin in My Love From the Star and Cheese in the Trap, this K-drama will make you see him a whole new light. He plays Kim Seol Woo, a mysterious undercover military operative who is tasked to be the bodyguard of a conceited actor. Things get even more interesting when Seol Woo starts falling for the manager of the celebrity he's trying to protect. If you and your barkada find yourselves struggling to be adults, you will definitely relate to this drama! This series revolves around a group of female college students-turned-housemates who must navigate adulthood, romance, and pursuing their dreams. Sounds super-familiar if you ask us!